Usually When I post any hacked app for getting free GPRS in Airtel or any other operator, I get some comments that downloading not works in those apps. Most often I designs hacked apps with Downloading support pre installed in it (there are some exceptions, for old UC 7.8 etc.). Still some users may report that downloading not works in it. So, After some research, I found the reason for it and a Solution for this problem. It is just because of some certificate issues, most of the phones do not give application permissions to add/edit data on your phone. So, you cant download any file. The solution is very simple, jut manually set application permissions for the app you installed. The detailed instructions are given below. 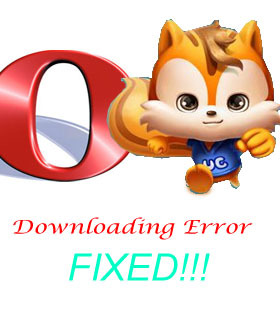 Note: This trick is not only for hacked apps, it can also solve downloading problems in other browsers and softwares. Go to the folder where your application (hacked app) installed. Now you will get download support. You can download any files without any problems. If you are using .sis apps, you have no need to set permissions. This is for those who want to use .jar apps for downloading in S60. For any other OS like Android and Iphone, you have no need to set permissions. If you have downloading problems in these OS, that may be because of any other problems like network errors. Ghantaa... still its nt dwnldin.. probm is sumthin else..
Sir how to I can solved this problem on Android?